Strava has become one of the top apps for both runners and cyclist who want more details about their workout. It offers detailed info about the ride, not only the distance but also the elevation. The route of your trip and critical information about your speed, past routes and new possible routes that might interest you for both off the road and on-road trails. 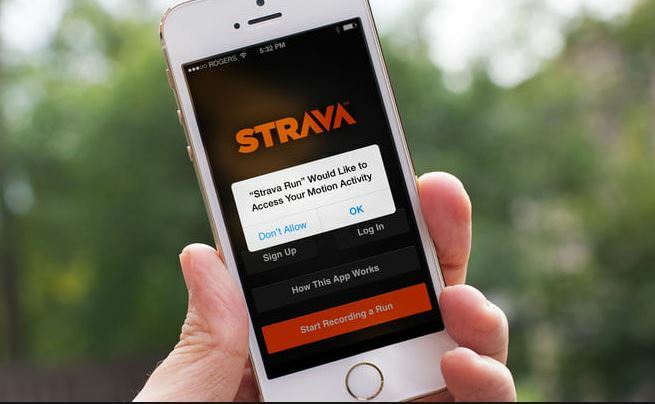 Strava has undoubtedly become one of the most used fitness apps out there, and many endure motocross riders have not started using it as well. Sure, it doesn’t provide a specific feature for enduro, but with some of the built-in functions, there’s merely nothing out there that offers the same advantages and features. There is a possibility that Strava would be adding a motorcycle feature. This new feature will offer better accuracy when it comes to just how much energy you burn. The other states would also be focused on your specific style of riding. However, even when using only the mountain bike option, you’ll find the app is accurate and still offers all the same benefits. Strava makes it easy to get going with a ride; all you need to do is enter the app, head over to record and press start. It automatically begins to track your location and map out your route, no matter where you go. If you stop, it pauses automatically and will start again as soon as it picks up you’re on the move again. The app data even provides details about how long you were actually riding for and how long you were standing still. Those who make challenging trails are sure to love Strava as it points out the incline and decline of hills. It will point out where you went downhill, what steep uphills you traversed and how long they lasted. One of the most significant advantages of using Strava is that other people can see your past routes if you choose to make it public. It doesn’t share any of your details but instead allows the community to know where the possible paths are. This allows Strava to grow and for everyone to discover new roads, trails and even hiking paths. Of course, for those who want to hit the trails with motocross bikes can enjoy this feature as well, but you’ll need to choose the mountain bike trails to ensure you don’t have loads of runners you need to look out for the whole time. Strava has a free feature where you can create your routes in advance of your ride. You’ll need to visit their website on a PC, log in, choose “My Routes” and create a new one. This brings up the map and starts with a quick tutorial to show you how it all works. You can toggle to see all the possible routes or those people have used before and you can switch between map styles, including satellite. Directly map out your route and follow it next time you go for a ride.